Infographic of the Day: Does Buying a House Make Any Sense? Not if you live in a big city like San Francisco or New York. It used to be an iron law of personal finance that owning a home was the surest way to build lasting wealth. Then along came the financial crisis and the Great Recession, and, if we learned nothing else, we saw that home prices don’t rise indefinitely, and can in fact be so wildly inflated that there’s no prospect of ever getting back your purchase price. Looking back, if you lived in Las Vegas in 2007, it would have made a lot more sense to ignore that zero-down, all-interest mortgage offer for $1,000,000 and just keep renting a $1,500 condo on the Strip. So now that the crisis is over, we should be snapping up houses again, right? Wrong. Some real estate markets remain so overheated or unbalanced that it still might make sense to keep on renting. 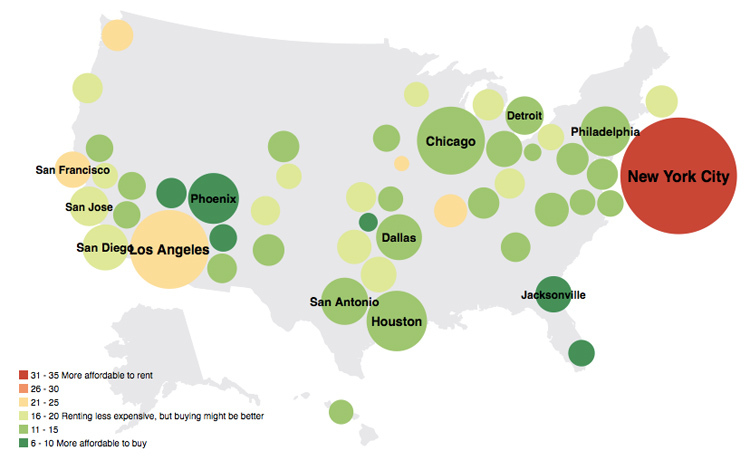 And this infographic by Sha Hwang of WeePlaces, for Trulia, shows exactly where. 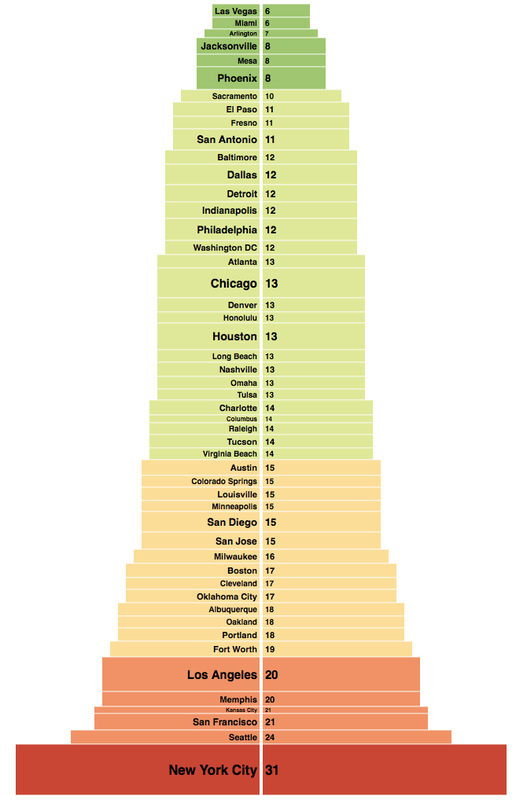 It’s no surprise that San Francisco, New York, and Los Angeles top the places where home prices are absurd thanks to a severe limit on housing and a very wealthy portion of the market that distorts overall prices. But there are a couple surprises in there such as Kansas City and Memphis. Now, you would think that if home ownership made little economic sense in some cities, then the free market would let housing prices stagnate until things came back into balance. We’d guess there are a couple things going on: It takes many, many years for these sorts of macroeconomic adjustments to work their way through the system. But what’s more likely is that we’ve been raised on the idea that you must own a home for so long that people are hardly rational about it any more.